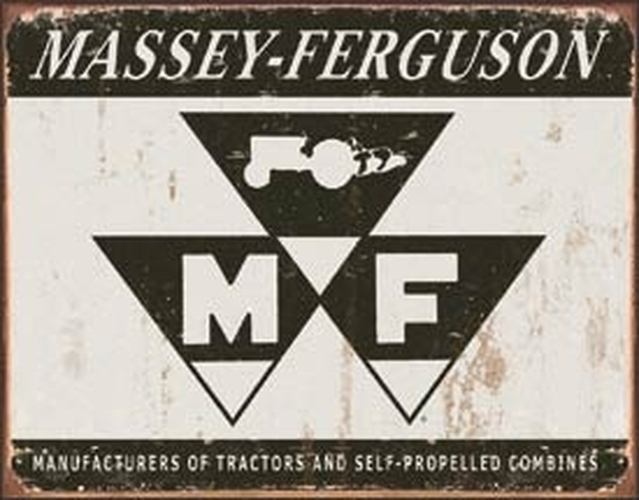 Tin Sign - Massey Ferguson Logo - MADE IN THE USA! Quality heavy gauge metal has rolled edges for added strength and pre-drilled holes in each corner for hanging. Measures SIZE 12.5"H x 16"W.